LTE IoT router for smart city & SCADA, IoT - 101 - Hotware International Co., Ltd.
IoT-101 outdoor 4G/LTE IoT router is a highly reliable and secured wireless communications gateway designed for outdoor 4G/LTE Network extension. 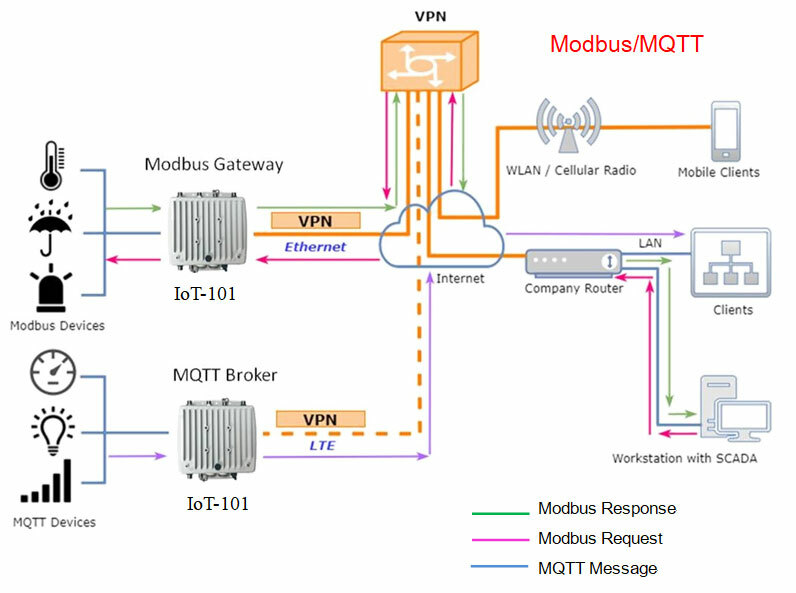 It supports multi-band connectivity including FDD / TDD LTE, WCDMA and GSM for a wide range of applications and vertical machine-to-machine (M2M) markets. To enhance reliability, it is equipped with dual SIM that supports failover and roaming over to ensure uninterrupted connectivity for mission-critical cellular communications. This router is administrated via web GUI, Telnet, SSH v2 and HTTP/HTTPS. It allows you to design professional applications with two serial ports (RS232/RS485) and the digital input/output ports (DI/DO) in diverse environments. Such as Smart City / IoT / Public Safety / Marine & Coast connection…etc. It also provides enterprise-grade software features, such as Quality of Service (QoS) for traffic prioritization, IPSec, OpenVPN, Firewall security and so on. Built for secure and uninterrupted operation in harsh environments, IoT-101 supports extended operating temperature from -40 to +70°C and a flexible input voltage range of 10-32V DC. It is an ideal cellular communications solution for heavy industrial use.